I love to find treasures. My treasures are bargains I find on Ebay, Craigslist, Amazon, or Garage Sales. The old cliche saying is true... One man's junk is another man's treasure. I found this Gargoyle on Craigslist for $15.00. Isn't he cute? He weighs about 30 pounds and is about a foot and a half tall. 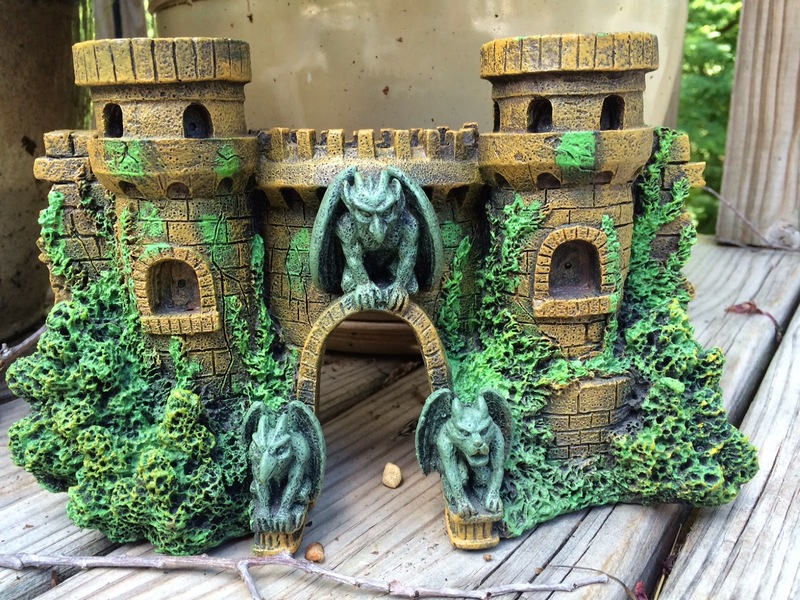 I found this castle for my fairy garden on Amazon. It's supposed to be a fish tank ornament but I wanted something unique and Gothic. It only costs about $13.00 when most fairy garden homes cost about $40.00. I can't wait until we move so I can set it up. 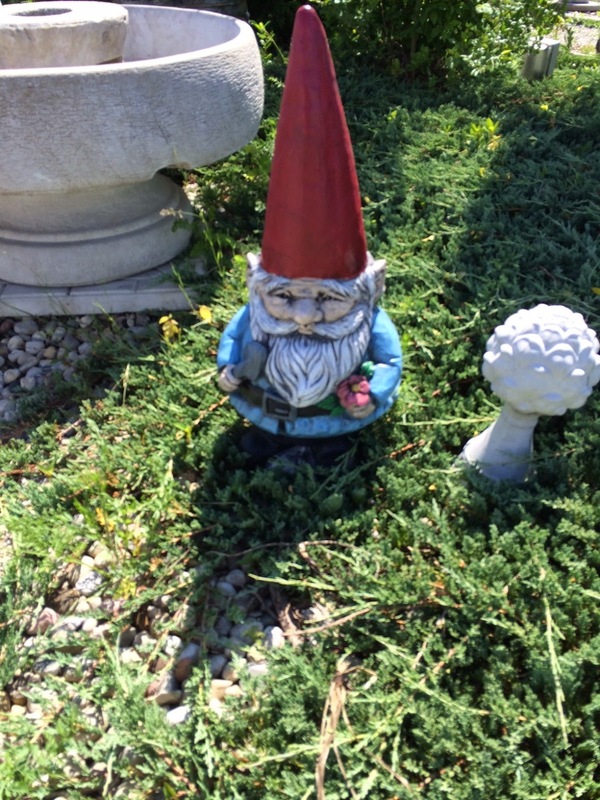 We went to one of those concrete statue places and this gnome was there to haunt me. Do you like to treasure hunt? Where do you find the best treasures? What was the best treasure you've ever found? 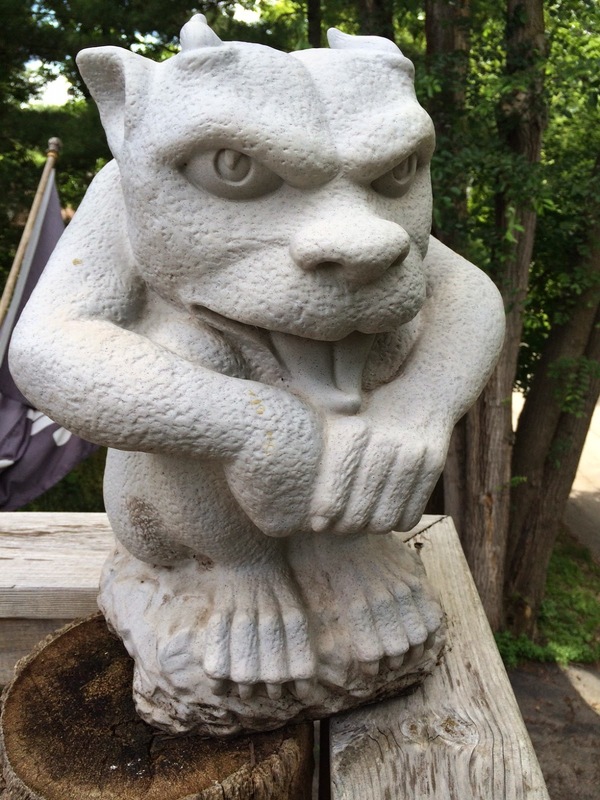 Love your gargoyle! And at least you know your castle will be water proof! Haha! I haven't done an auction yet. I bet there's all kinds of goodies there. Wow, Bonnie - your Fairies at your new home are going to be psyched!! That castle is awesome, and I Love-Love the gargoyle too. We like to hit flea markets and yard sales. Never know what I'll find to tickle my fancy. I love flea markets and yard sales too. It's fun to just go looking. Sometimes a person's stuff reveals a lot about that family. Yay on the gnomes. Me too.